Many companies will face a public relations crisis at one time or another. In the world of social media, a negative incident can escalate even more quickly to damage your company's reputation. How can we identify, manage and resolve it before the situation becomes uncontrollable? 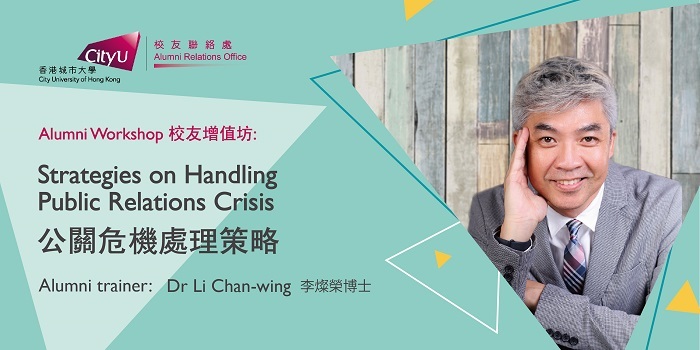 Meet our alumni leader and DBA graduate Dr Li Chan-wing (李燦榮博士), a well-known cross-media host, consultant and trainer, who will highlight the essential strategies and ways of communication with media and the public in times of crisis. Join us now!